Perception – What’s happening now? Notification – What do I need to know? Suggestion – What do you recommend? Automation – What should I always do? Prediction – What can I expect to happen? Prevention – What can I avoid? Situational Awareness – What do I need to do right now? 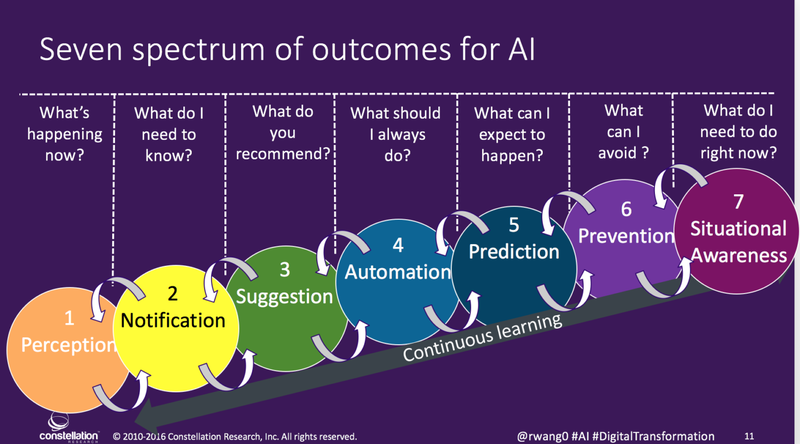 Just think of how artificial intelligence is applied to every B2B SaaS application using these seven questions as a thought exercise — there are so many amazing possibilities.